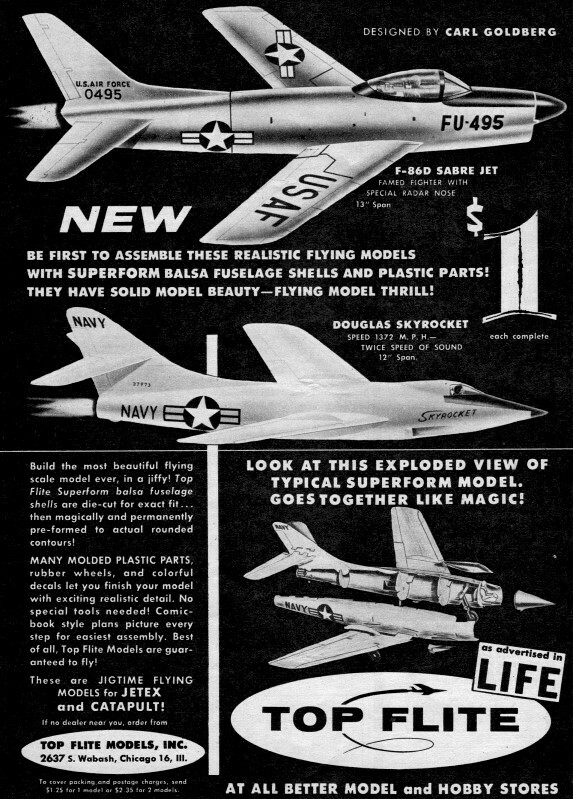 A number of things make this Top Flite advertisement from the December 1954 edition of Air Trails surprising. 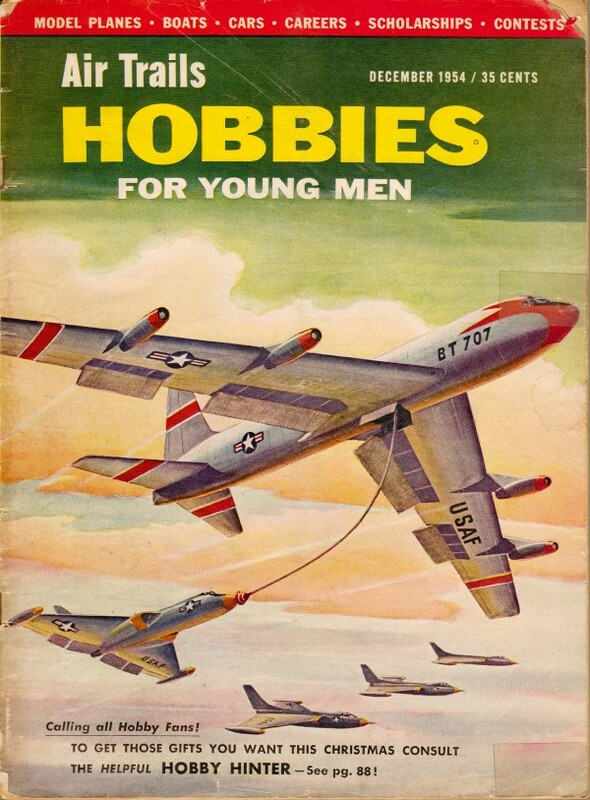 First, did you even know that Top Flite used to make anything other than large radio controlled model airplanes? Second, did you know that the great Carl Goldberg was a model designer for Top Flite before he started his own model airplane company? Third, did you know Top Flite used to make small molded balsa models for Jetex engines? This ad offered an F-86 Sabre Jet and a Douglas Skyrocket for $1 each. Use the U.S. Bureau of Labor Statistics' inflation calculator to see what items cost in today's dollars. For instance, that $1.00 pricetag would be $8.64 in 2013 money.